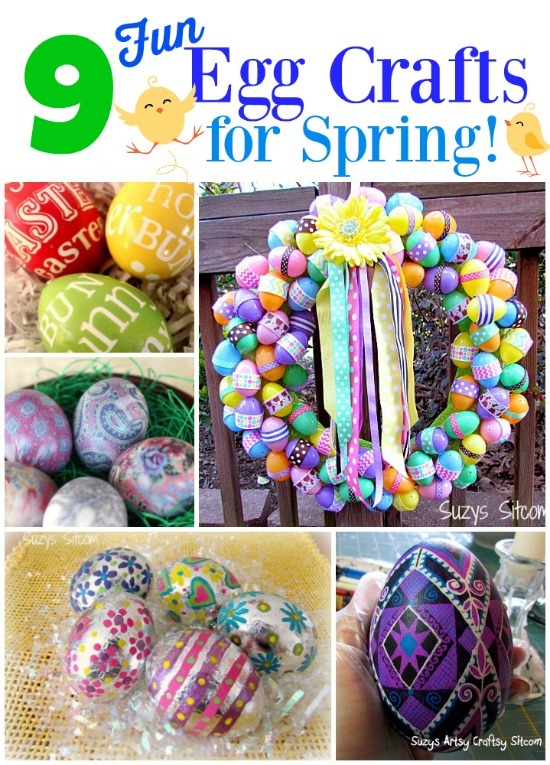 9 Fun Egg Crafts for Spring! Spring is right around the corner! 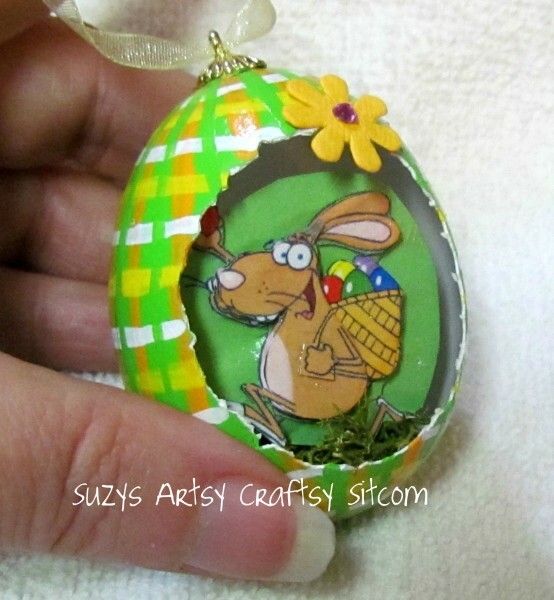 Unique egg craft ideas are very popular this time of year. Since creating Ukrainian Egg art with is one of my specialties, I definitely am drawn to great ideas for making awesomeness with eggs. Pretty eggs make great year round decorations in centerpieces and tablescapes. And Easter is always a great time to sit down with the kids and do a bit of egg decorating. But don’t stop there! 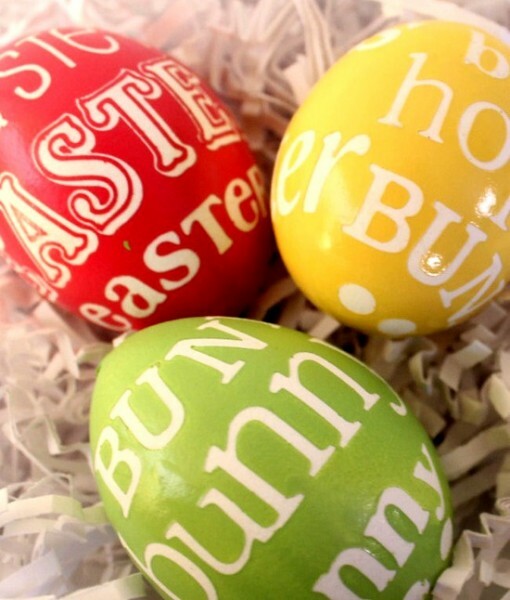 Here are 9 great egg decorating and craft ideas that use real eggs, blown eggs, and even plastic eggs! 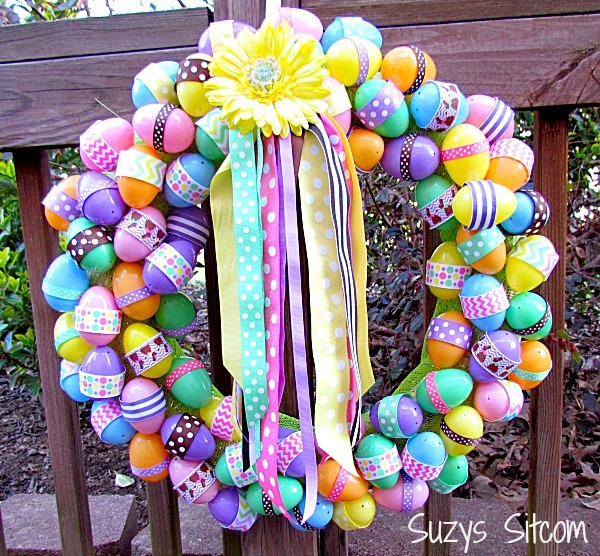 This wreath was created using pretty Easter ribbons and a whole ton of pastel plastic Easter eggs! Easy to make and a colorful decoration for your door! Always crafting. It is a curse, you see. 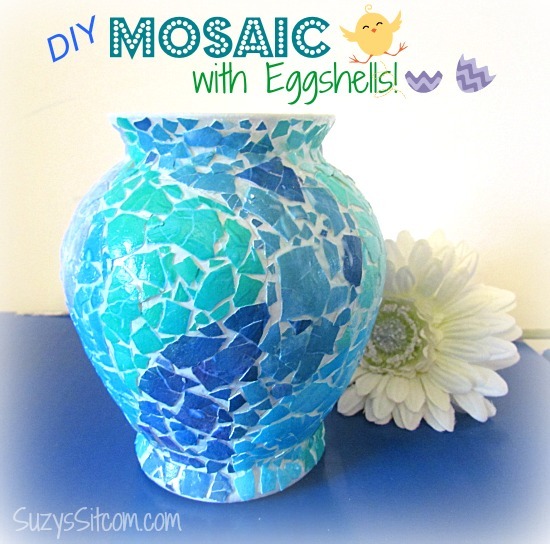 I designed a mosaic toothbrush holder made from egg shells! I like to call this the “poor man” mosaic technique. Looks fancy, but really isn’t! Want to know how to make one? 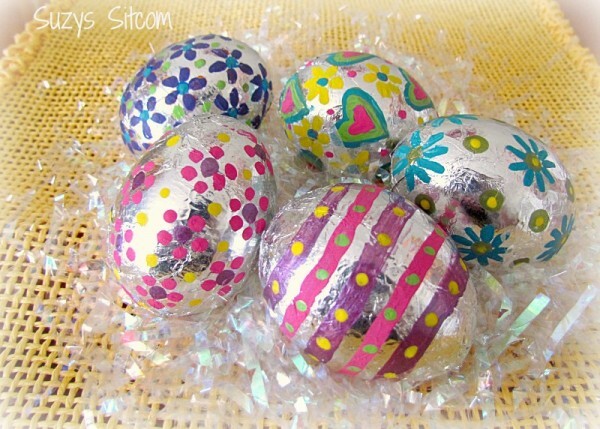 I’m a big fan of metallics, and when I discovered the art of burnishing foil onto things, it came to mind that this process might just work well on Easter eggs! I love these colorful Subway Art Painted Eggs! And the process to make them is surprisingly easy! You can find a full tutorial at Lil Luna. Would you believe that these are made with silk ties? This is definitely something I need to try in the near future! You can find the full tutorial for these Silk Dyed Eggs at Our Best Bites. And finally, if you are interested in learning Ukrainian Egg art, or are just curious as to how this beauty was created, be sure to visit my Ukrainian Egg Art Tutorial! There you have it! 9 great tutorials for creating some awesome egg crafts! Create something amazing! For over 100 tutorials for all ages, be sure to visit my Tutorial Page! Next post: DIY for Spring! Tiny Birdhouses!